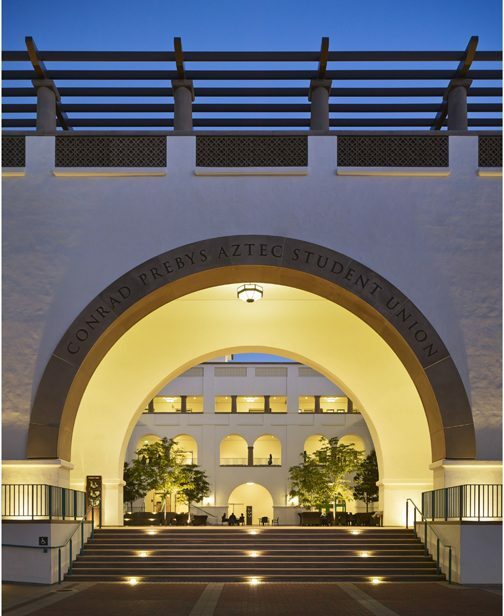 The new Conrad Prebys Aztec Student Union replaces an outdated facility and gives San Diego State University the opportunity to meet the needs of 21st century students with a project that is an exemplar of an environmentally responsible design solution. 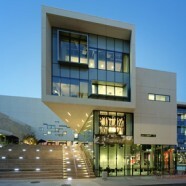 The union is expected to become the first campus-life building in the California State University system to achieve a LEED Platinum rating. 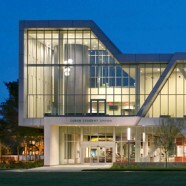 This extraordinary building is about community. 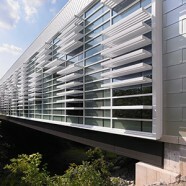 This building reflects both the vision of our students and the collective efforts of our entire university. 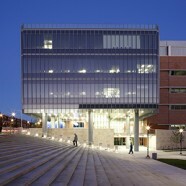 Funded entirely by student fees, the project initiated a grassroots student movement to assure the union would achieve the highest LEED rating available for sustainable design. 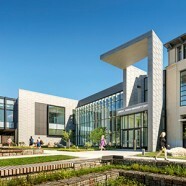 The project team embraced the challenge, collaborating closely with students and faculty by presenting a full range of sustainable strategies and evaluating each by cost, economics, programming and planning impact and demonstrable value. 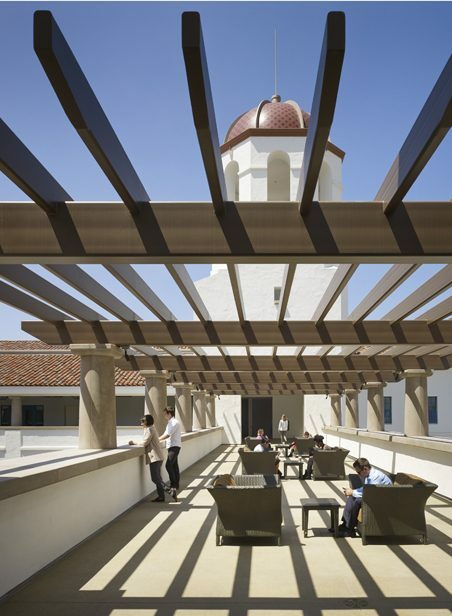 The result is not only a high performance building, but also one that celebrates the historic California Mission architectural image that is the campus’ legacy. 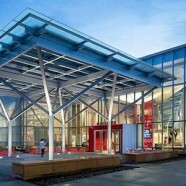 With the creation of a new campus living room for connecting, studying, eating and relaxing, the union has become a home away from home for faculty, staff and alumni and the center for the campus community. 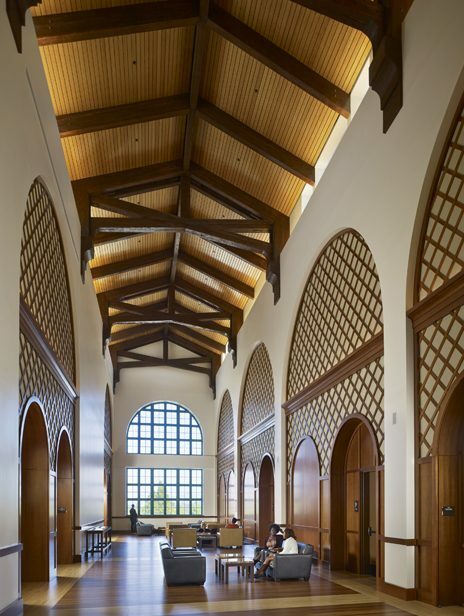 The design of the Conrad Prebys Aztec Student Union has proven that the historic Mission Revival architecture of the campus is ideally suited to building high-performance, state-of-the-art facilities for future generations of SDSU students. 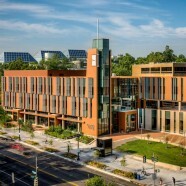 LEED Platinum building; sustainable features include daylighting, FSC-certified wood, radiant flooring, bamboo and terrazzo flooring, green roof, 93kw solar panel array, and interactive touchscreens providing access to energy management dashboard. 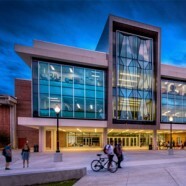 The project team has used approximately 80 percent of the materials from the original student union and either recycled or reused the materials to construct the Conrad Prebys Aztec Student Union. 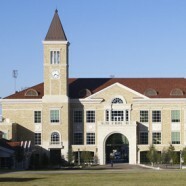 The $104 million project funded entirely from student-approved fees and received no state funding. 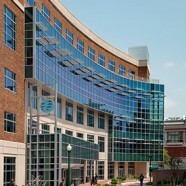 Upon opening, the union will serve 34,000 students in the 2013-14 academic year.